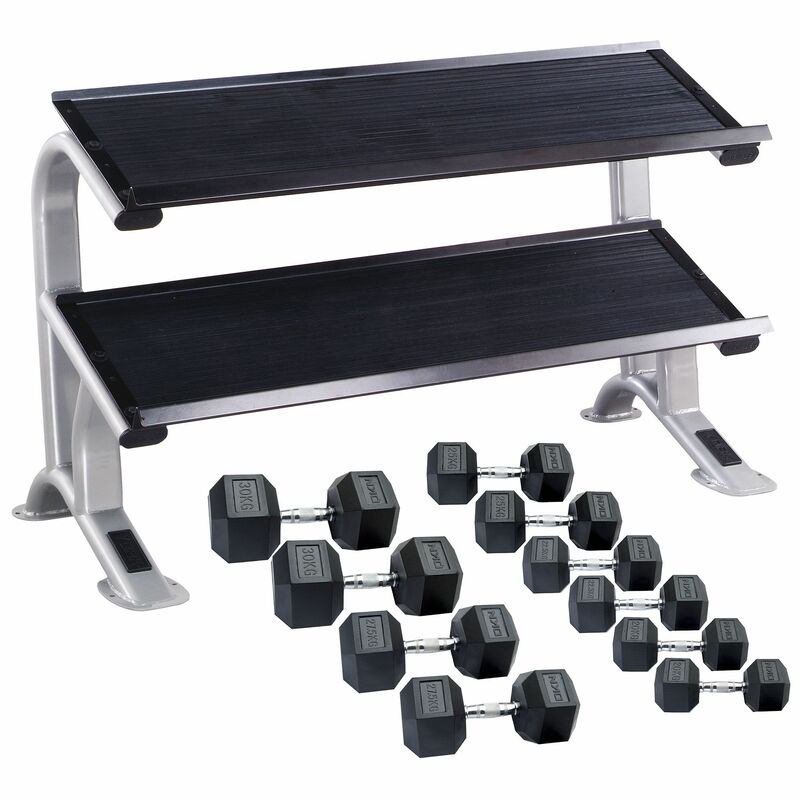 Including 5 pairs of DKN dumbbells weighing 20kg – 30kg and a solid storage rack from York, this heavy duty set offers safe and versatile strength building workouts for more advanced users. The dumbbells have an anti-roll safety hexagonal design that prevents them from rolling away and feature pinned cast iron heads coated in high grade rubber to minimise noise and floor damage. Their easy and compact storage is ensured by the 2-tier rack featuring a sturdy construction with a 6.5cm front lip on the 40cm deep tray that helps keep the dumbbells secured. for submitting product review about DKN 20kg to 30kg Rubber Hex Dumbbell Set with Storage Rack - 5 Pairs.